Sign language is one of the most widespread forms of communication on the planet. Knowing a form of it, such as American Sign Language (ASL), is a useful skill for even those who don’t rely on it. If you have a family member or friend who is deaf or hard of hearing, learning even a few words of sign language can be helpful. There are many resources for those who want to learn how to sign, such as YouTube and Lifeprint. But you can also pick from a wide variety of iOS apps that help you learn anywhere. Below are some great options for iPhone or iPad users who want to learn how to sign. Keep in mind that sign language is very complicated and operates with different syntax than oral languages. If at all possible, practice the language with someone who signs fluently, and allow these iOS apps to supplement your education. Though sign language is not universal, the market for apps is heavily skewed towards ASL. 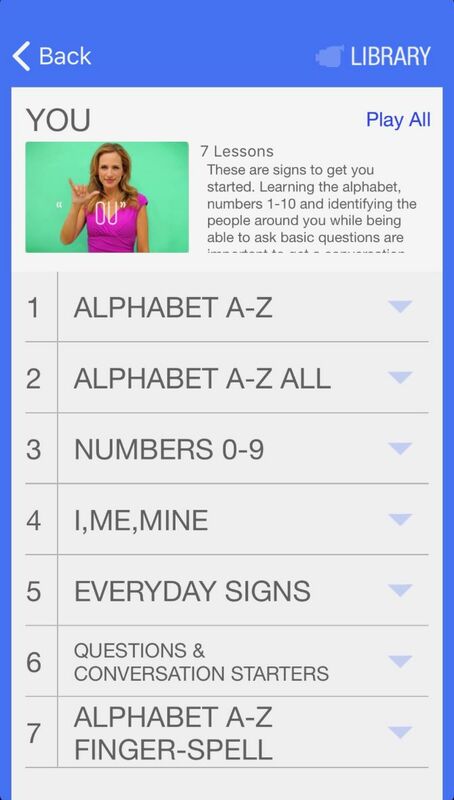 There are also a number of great Android apps to help you learn sign language. Best for: Understanding more complex interactions in ASL. 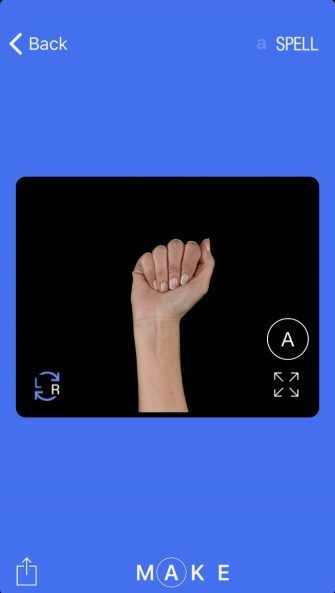 If you’re looking for a Duolingo-like experience, check out The ASL App. One of the best features is that it often shows two ASL speakers interacting to simulate a true conversation. In each video, you can drag your finger across the screen to control the speed. There’s also a slow-motion option. You can even save specific signs to a Favorites folder for quick access. While the app offers a number of different learning modules for free, you can unlock the entire app with an in-app purchase. Best for: Strengthening your ASL vocabulary. 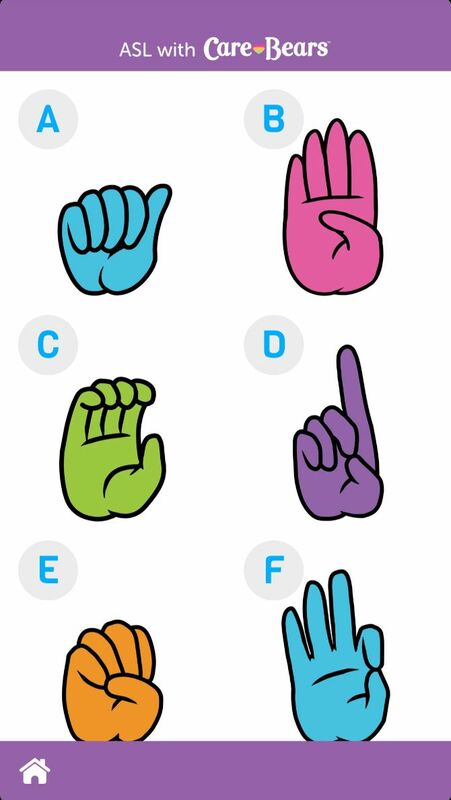 A great-all around ASL app, SignSchool offers a number of solid features. One of the best is the SignBuilder that will show random signs so you can improve vocabulary comprehension. There are hundreds of different categories and thousands of signs to choose from. To test your knowledge, there is a multiple-choice game to help review categories. An ASL Sign of the Day offers a new sign to learn daily, and you can get a notification when the new word is available to view. Best for: Learning the ASL alphabet and numbers 1-100. While this app features commonly used phrases in conversation and vocabulary, it’s also a great place to learn the basics. You can learn the complete alphabet and numbers 1-100. To help test what you’ve learned, there’s also a picture-matching game for both letter and numbers. Best for: Language immersion via the keyboard. If you really want to immerse yourself in ASL, a great option is Signily. The add-on keyboard shows you the sign for each letter. It’s not the most intuitive way of learning how to sign, since it can rob you of the chance to learn word-specific signs instead of fingerspelling. But the big advantage is that all of the signs are laid out in familiar patterns, and they go back to regular letters with one touch. Switching between the two should make it easier to memorize the individual letters. ASL Dictionary is a straightforward and helpful way to learn the language. It has a dictionary of words and phrases that you can sign. When you tap an entry, you’ll see a video clip of the sign in question. While it doesn’t teach about grammar or sentence structure, ASL Dictionary does a great job at being a quick and easy reference. There is also a quiz mode that tests you based on the videos. As a nice touch, you can view all the content and videos without an internet connection. Best for: Basic visual learning. Academy Award-winning actress Marlee Matlin headlines this app. She signs out the ASL alphabet along with phrases like “Hello,” “Excuse me,” and “I am deaf.” It’s a great choice for anyone starting out who wants to learn the basics from an experienced teacher. 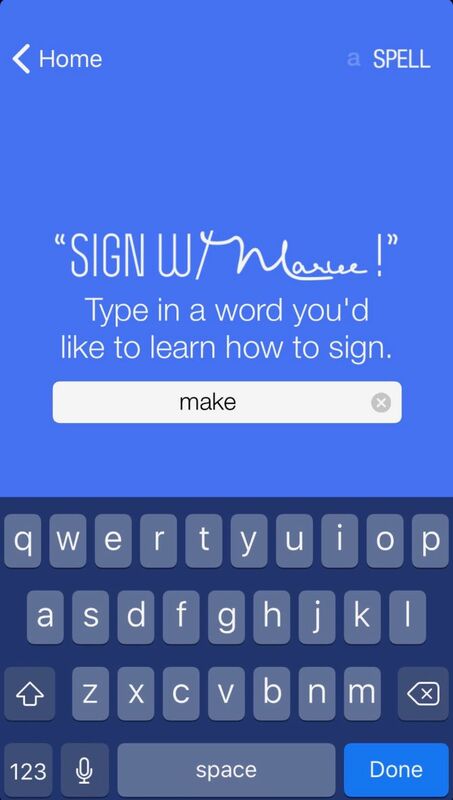 Matlin signs very slowly, but the app allows you to play the short educational GIFs back even more slowly, which is useful for less-dexterous students and inexperienced beginners. Best for: Teaching children ASL basics. 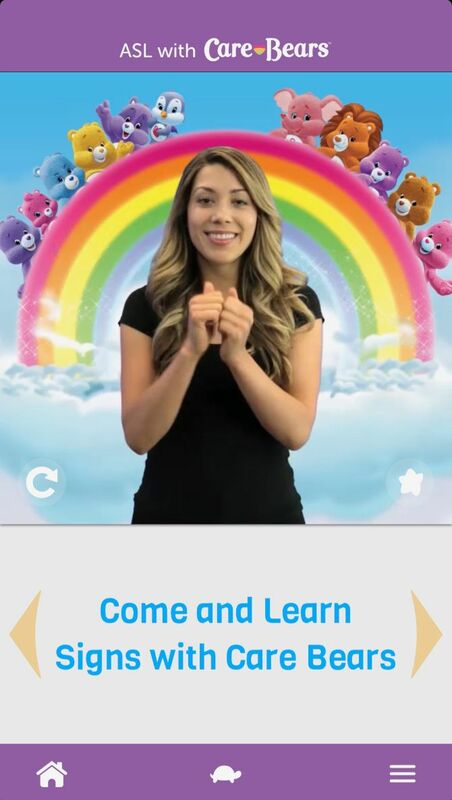 Made for kids, ASL with Care Bears is a great way to get younger learners interested in learning the language. There are more than 400 different signs of popular phrases and more. Living up to its name, kids can also learn the name of all the Care Bears in ASL. Two bundles come free with the app while a substantial amount of other content can be unlocked with a single in-app purchase. Learning any new language, including ASL, isn’t easy. But hopefully these iPhone and iPad apps can help guide you on a successful journey. 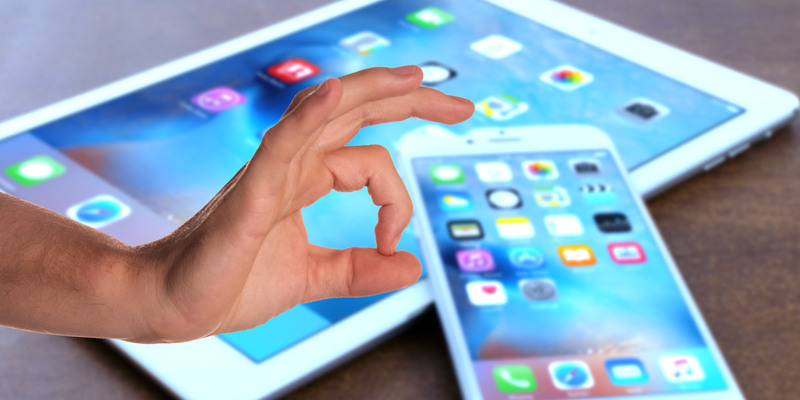 Don’t forget that your iOS device can help you learn more languages than just ASL. Make sure to take a look at other free apps that can truly help you learn a foreign language.